St. Martin's Press, 9781250072344, 304pp. 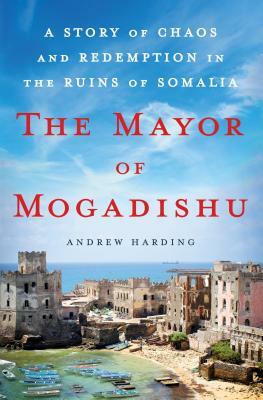 In The Mayor of Mogadishu, one of the BBC’s most experienced foreign correspondents, Andrew Harding, reveals the tumultuous life of Mohamoud “Tarzan” Nur - an impoverished nomad who was abandoned in a state orphanage in newly independent Somalia, and became a street brawler and activist. When the country collapsed into civil war and anarchy, Tarzan and his young family became part of an exodus, eventually spending twenty years in north London. But in 2010 Tarzan returned, as Mayor, to the unrecognizable ruins of a city now almost entirely controlled by the Islamist militants of Al Shabab. For many in Mogadishu, and in the diaspora, Tarzan became a galvanizing symbol of courage and hope for Somalia. But for others, he was a divisive thug, who sank beneath the corruption and clan rivalries that continue, today, to threaten the country’s revival. The Mayor of Mogadishu is a rare an insider’s account of Somalia’s unraveling, and an intimate portrayal of one family’s extraordinary journey. ANDREW HARDING has been living and working abroad, as a foreign correspondent, for the past 25 years, in Russia, the Caucasus, Asia and Africa. He has been visiting Somalia since 2000. His television and radio reports for BBC News have won him international recognition, including an Emmy, an award from Britain’s Foreign Press Association, and other awards in France, Monte Carlo, the United States and Hong Kong. He currently lives in Johannesburg with his family.